Michael D. Rochelle is a retired Lieutenant General in the United States Army who served in the military for more than thirty years. Born in 1950, he graduated from Norfolk State University with a bachelor’s degree in Foreign Language Education in 1972. At Norfolk State, Rochelle participated in ROTC, and after graduation on June 7, 1972, he was commissioned a 2nd Lieutenant. Rochelle acquired a master’s degree in Public Administration from Shippensburg State University in Pennsylvania, graduated from the United States Army War College in Carlisle Barracks, Pennsylvania, and has certificates from the Department of the Navy Executive Business Management Course at University of California, San Diego and from the Center for Creative Leadership. Rochelle’s education gave him skills to take on the leadership roles he held until his retirement in 2009. Before commanding and leading recruitment for the U.S. Army Recruiting Command (USAREC) in Fort Knox, Kentucky, a position he held from January 2002 to October 2005, he served as Joint Staff in the Office of the Secretary of Defense and for the Deputy Chief of Staff for Personal. In both positions, he held commanding titles. He was also a commanding general at the U.S. Army Solider Support Institute in Fort Jackson, South Carolina. Having moved around a lot throughout his time in the Army, he ended his career working as Director of the Installation Management Agency in Arlington, Virginia, and finally working in Washington D.C. for the U.S. Army as Deputy Chief of Staff G-1 where he retired on September 1, 2009. As of 2014, he worked as president and CEO of MDR Strategies, LLC., a company he founded after his retirement. His firm, located in northern Virginia does consulting for strategic human capital, a skill he perfected working in the Army. Rochelle is most famously known for his executive leadership skills and his strategic planning and deployment ability. He has participated in leading the recruitment as the Chief Human Capital Officer for the world’s largest recruiting enterprise and service, the 1.2-million-person U.S. Army. He also spent more than 35 years mentoring and training junior officers and senior executives. Finally, he worked with the Department of Defense as it recognized sexual harassment authority and created a sexual assault campaign plan, the implementation of which he oversaw during the latter years of his career. 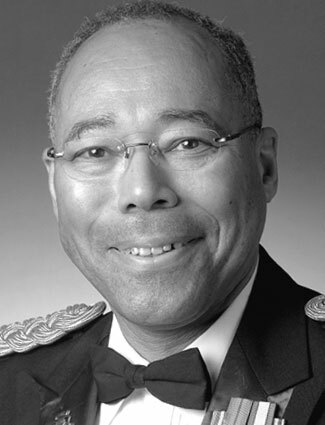 By the time of his retirement, General Rochelle had been honored as a Distinguished Alumni from Norfolk State University, he received the National Association for the Advancement of Colored People (NAACP) Barrier Breaker Award, and was inducted into the Boys and Girls Club of America Hall of Fame for his work in the U.S. Army’s Instillation Management Agency. “BGCA - Lt. Gen. Michael D. Rochelle,” Boys & Girls Clubs of America, https://www.bgca.org/about-us/alumni-hall-of-fame/lt-gen-michael-d-rochelle; Michael D. Rochelle, “Michael D. Rochelle Collection, 1988-2005.” ArchiveGrid, Online Computer Library Center, Inc., https://beta.worldcat.org/archivegrid/collection/data/852983346; Michael D Rochelle, “Michael D. Rochelle,” Leadership Legacy Program, https://leadershiplegacy.gmu.edu/wp-content/uploads/2014/01/MichaelRochelle.pdf. “BGCA – Lt. Gen. Michael D. Rochelle,” Boys & Girls Clubs of America, https://www.bgca.org/about-us/alumni-hall-of-fame/lt-gen-michael-d-rochelle; Michael D. Rochelle, “Michael D. Rochelle Collection, 1988-2005.” ArchiveGrid, Online Computer Library Center, Inc., https://beta.worldcat.org/archivegrid/collection/data/852983346; Michael D Rochelle, “Michael D. Rochelle,” Leadership Legacy Program, https://leadershiplegacy.gmu.edu/wp-content/uploads/2014/01/MichaelRochelle.pdf.